Do you want to set up your Les Paul Gibson guitar? Even though many believe it is different from other electric guitars, in all seriousness it is not. You just have to set it up the way you would set other electric guitars. You must follow the same directions which you would follow for a Stratocaster, or any other guitar for that matter. However, what you must keep in mind is the fact that a Les Paul is always different in terms of size, and its fret is always bigger than a normal guitar. Therefore, be sure before choosing it as your first guitar. You must start off by choosing the perfect strings for yourself. Even though this sounds like a stupid idea for most of you guitar players out there; it isn’t. A good string-set can always make your guitar sound better than all other guitars. Therefore, always go for the best strings. You should know how thick they should be. Run a research and fully understand the whole scenario. You should by the ones which will suit your playing style. Thick ones are usually for the people who’d prefer an acoustic over an electric guitar and are shifting from one. Once you have selected the strings, it is time for you to tighten them. Remember: New strings keep getting loose so don’t get annoyed. 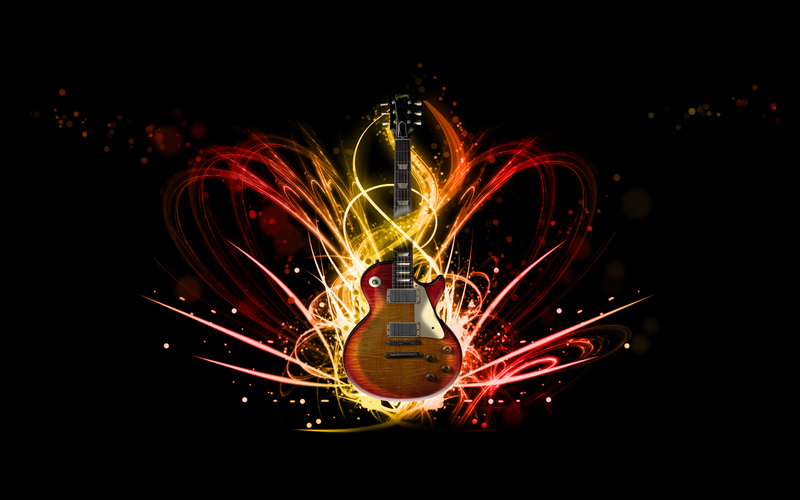 It will take a little time and then you will be all set to play your new Les Paul. It is not too difficult to tighten the strings. You can either buy the tool to tune them perfectly, or you can use your own ear to tune the guitar just the way you want it. Now since your guitar is an electric one, you must find yourself a cable in order to connect the guitar with the amp which you will have to buy. The amp is a must buy and you must always have one. It is not necessary that you buy an amp; speakers would work just fine as well. However, an amp is considered to be the better option since it offers you better effects and less noise. Now it is time for you to set your sound. Many would want to play a more distorted guitar; others would want to play blues. Start off with playing without the distortion and add it later through different boards and processors.